We take great pride in not only adding new pieces of furniture to your home, but also take pride in re-upholstering your existing pieces. We promise, you will be delighted with the end result! With a brand new and revitalized look, your family heirloom will look the way it was meant to, or look the way we enhance it. 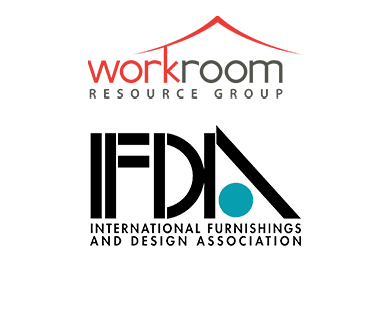 Our area of expertise customarily focuses on residential furniture such as dining room chairs, couches, and cushions, but we are not limited to those. The foundation of our design team is to work with you to bring you the desired results while asking for your input every step of the way. Pieces that make sense to upholster are family heirlooms, high-quality frames, or period antiques. Let's not forget the lost art of Slipcovering. It may make more sense to slipcover an existing piece rather than a full blown re-upholstery. Our skilled designer can talk to you about the benefits of both and provide you with the best possible fabric options from our extensive library of fabrics. Re-upholstering and slipcovering are really about bringing satisfaction to pieces of furniture that you previously deemed unsatisfactory. Contact A Room With A View today to discuss your re-upholstering needs!